Nicholas (Nick) Veenhof, was born on November 28, 1937 on a farm 5 miles north of Edgerton in Burke Township to Henry and Lorraine Veenhof. He attended a country school until the age of 10 when his parents moved to Edgerton. He then attended Edgerton Public and graduated in 1955. He went to Northwestern College in Orange City, IA for a semester then joined the U.S. Navy. He served two years active duty and his remaining service in the Navy Reserves. On August 21, 1958 he was united in marriage to Rosalie Pool. To this union two daughters were born. On Wednesday, January 30, 2019, Nick lost his battle with leukemia and went to be with his Lord at the age of 81. He worked various jobs over the years including being a meat cutter, Hypane Gas man, Edgerton Elevator, Pioneer Seed salesman for 20 years, farmed, owned and operated the bowling alley with Dean Gruys for 11 years, he finished his work life as a Rural Route U.S. Mail carrier for 20 years until he retired. With his retirement, Nick and Rose were snowbirds in Harlingen, TX where he spent his time with friends and golfing. 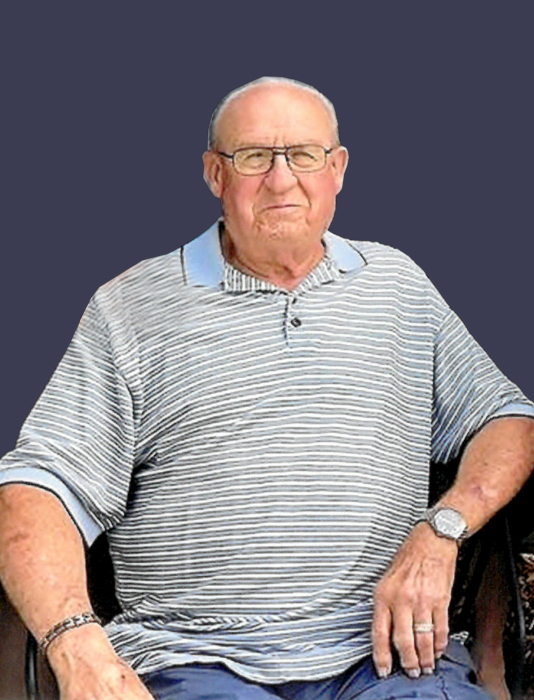 After retirement, he had a lawn spraying service, enjoyed running errands for DeBoer Chevrolet, driving truck for the Chandler fertilizer plant, going to Talley Ho for breakfast and coffee and visiting his children and grandchildren who all lived out of state. His civic duties included serving on the Reformed Church Board, Public School Board for 9 years, serving as a volunteer fireman for 20 years and he managed a crew of volunteers who designed and constructed the softball fields on the south end of town. In his spare time, he enjoyed playing and managing softball teams, bowling, golf, and putting together puzzles. With his family, he traveled and camped. He will be remembered for being a loving husband, father, grandpa, and uncle; his sense of humor; his love for his church and family and his sense of community. He is survived by his wife Rose, his two children, Robin and Denise, his four grandchildren, Brittany, Lauren, Allison and Mark, his sister Leona, his brother Harris, and several cousins, nieces and nephews. He was preceded in death by his parents and 11 sibings.